Meteorology is the science of the atmosphere and takes its names from the Greek word "meteoron": something which happens high in the sky. The ancient Greeks observed clouds, winds, and rain and tried to understand how they were related to one another. The weather was important in their simple society because it affected the farmers who grew their food and their seamen who sailed the oceans. Today, our complex society and our living conditions are affected even more seriously by events and changes in the atmosphere. 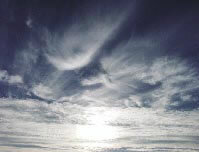 In the recent years studies and investigations about the atmosphere have expanded. Actually investigations cover all the aspects of the atmosphere, from the surface of the earth upwards. The atmosphere is divided into several levels to facilitate studies. This vast science is called "Atmospheric Science" and the oldest commonly used word Meteorology is related only to the lower levels of the atmosphere which have permanent changes, but daily atmospheric changes at the lowest level close to the earth's surface, is called the "Weather". Aristotle is considered as the father of meteorology as in the case of almost all other areas of study. His book Meteorological, written around 340 BC, was the first major study of the atmosphere. Although some of Aristotle's ideas about rain, hailstorms, and other weather phenomena were accurate, many were not. Like other thinkers of his time, he believed that logic and reason alone could lead to truth. He did not think it necessary to consider the details of the natural world, such as the geographic latitude, in order to understand the weather. Many centuries later, natural philosophers realized that speculation and logical arguments alone could not reach a real understanding of nature. To understand things that happened, it is necessary to measure, record, and analyze observations. But for a very long time, the only features of the weather that could be measured were the wind direction and rainfall. The thermometer was invented around AD 1600, and the barometer, which measures atmospheric pressure, followed a few years later. Over the next 300 years, observatory and recording devices were developed for measuring wind speed, humidity, visibility and other important qualities of the weather. 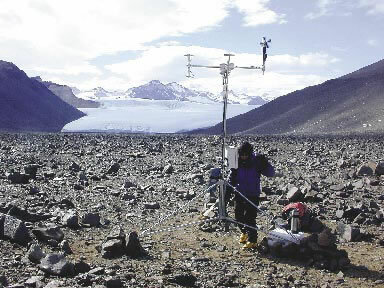 Scientists used these instruments to record the long-term trends that are known as climate. However, up to mid-1800 they still did not understand the day-to-day behavior of thunderstorms, hurricanes, and other climatic phenomena. By the mid-1800 meteorologists began to realize that clouds, winds, and rain at any particular place are produced by large weather systems that grow and change as they move across the face of the earth. However, this knowledge was not very useful as long as weather information could not travel faster than the weather itself. After the invention of the telegraph, in the early 1900s, allowing weather reports to be dispatched by Morse signals almost instantly, the Norwegian meteorologists found the importance of basic science in meteorology. They used the laws of physics to study the atmospheric behaviors, and then these laws, which illustrated the movements of huge cold and warm air masses and the places of "fronts", laid the foundation of modern weather forecasting. This was the first time that meteorological plans were used. The World War II brought great advances in meteorology. Large-scale military land, sea, and air campaigns were highly dependent on weather reports over vast regions from the North Atlantic to Southern Pacific. University meteorology departments grew rapidly as did the number of military service cadets being trained as weather officers. The military also supported scientific research on weather and climate. Wartime technological development such as the radar also proved very valuable for meteorological observations. Meteorology has developed many more new tools and techniques for observing and studying the atmosphere since World War II. They probe the violent cores of thunderstorms with radar and high-performance aircraft, and they use satellites to observe hurricanes and other major weather systems. They develop numerical models - sets of equations that represent atmospheric processes - and run them on supercomputers to analyze and predict the behavior of the atmosphere on every scale from the formation of raindrop to the circulation of the atmosphere over the entire earth. More than 2,000 years ago, Greek philosophers looked at the sky and tried to understand what was happening there. Today, the ancient science of meteorology has matured. Forecasting has always been at the heart of meteorology because it affects the lives of thousands of people. Forecasting the temperature and precipitations up to seven days ahead is reasonably accurate nowadays. It helps those who want to travel or want to do sports like skiing. Some meteorologists believe that it eventually will be possible to forecast the weather up to two weeks or more in advance which is vastly important to aviation and navigation industries. New knowledge about interactions between the Tropical Ocean and the atmosphere may make it possible to predict regional climatic patterns months in advance. This type of prediction is usually paid much more attention by governments for economic, agricultural, and other programs. Weather forecasting involves many people in many countries because the systems that bring us our weather are hundreds of miles in extent and move across huge regions of the earth's surface as they grow and change. The weather forecast that you see on the television screen is the end product of a worldwide effort of thousands of meteorologists in the national weather services of many nations. Four times each day, weather observers record atmospheric measurements at nearly 10,000 weather stations around the world and several thousand ships at sea. They release weather balloons at more than 500 stations to take upper-air measurements. Radar, aircraft and satellites are also used to collect data on what is happening in the atmosphere. 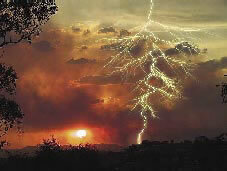 This information is transmitted to world weather centers in Russia, Australia and United States, where computers produce analyses of global weather. The National Weather Service Meteorology in Washington DC uses these data with sophisticated computers as a starting point to produce forecasts. These forecasts go to regional and local centers. Then the National Weather Services meteorologists apply their skills and experiences to fine-tune the predictions for their regions and specific towns and cities. Regional perusal is so notable in meteorological predictions which include longitude, latitude, heights, and so on. These qualities are effective on their weather and the weather of the neighboring lands. Iran has a wide range and variety of climates; because it is located between 25 degrees to 40 degrees of the northern latitudes with 1,645,000 square kilometers of area. So the southern part of it is situated in the Tropical region and the northern part in the Subtropical region. Also because of its many low and high zones, it has very different climates. In the north of Iran the shore line of the Caspian Sea is connected to Alborz Mountains. This area is located in the Subtropical latitude. Alborz range stretches from the northeast to the northwest of Iran. On the western border, Iran has the Zagros Mountains from the northwest to the southeast and it meets the Alborz at a point in the northwest. At the center of Iran lies the Salt Desert and at the southern parts, Iran has the shores of the Persian Gulf and Sea of Oman that are in the Tropical regions. But Iran is also influenced by regions around it. Different air masses from the surroundings meet each other over this land. The Persian Gulf and the Oman Sea on one side and the Mediterranean sea on the other side, the dry deserts of Arabia and Africa to the south and east and the great plains of Siberia in the northeast are greatly effective on the air masses which move towards Iran. Iran's National Weather Services studies the geographical condition of all parts of the country and the forecasts from world meteorology centers and then announces its reports by the media. Weather organizations in Iran cover a wide range of activity such as agriculture, fishing aviation and industry sectors.